ORANGE, Va. (March 28, 2017) – Motorcycle Clubs in Central Virginia are the focus of a new campaign by the Department of Alcoholic Beverage Control. The Virginia Department of Alcoholic Beverage Control (ABC) is trying to put the brakes on biker bars in central Virginia. 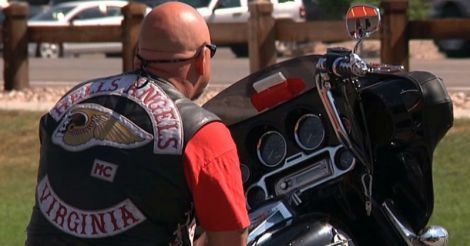 The ABC is warning restaurants and bars they could lose their licenses by becoming a hangout for motorcycle clubs. The ABC says this crackdown comes in response to concerns from law enforcement in Greene County, Louisa, and Orange. John Nagro, the owner of CJ’s at Byrd Street in the town of Orange, is trying to shake off that reputation for his bar. 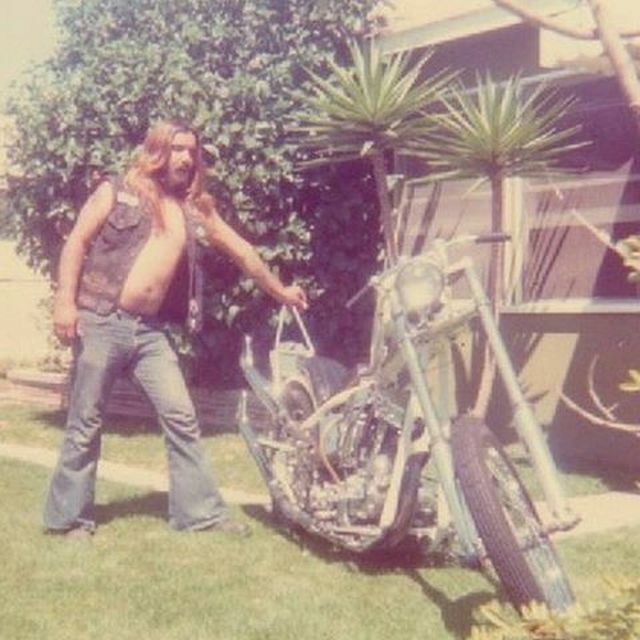 Nagro got a letter (LINK) calling his restaurant a rendezvous for an outlaw motorcycle gang. “Next thing I know, the big boys from ABC came in and basically threatened me that I was going to lose my license,” Nagro explained. ABC agents are handing out the letter to 30 bars and restaurants around Central Virginia, including in the town of Louisa. It describes an increase of outlaw motorcycle gang activity, but these aren't just your weekend riders. Police describe the groups as the "one-percenters". “Those one-percenters, the ones that create the problems for us in law enforcement and the criminal activity, is the area we need to focus on,” said Chief Ronnie Roberts with the town of Louisa police. The ABC warns it can revoke the license of a business that becomes a meeting place or rendezvous for outlaw motorcycle gangs. 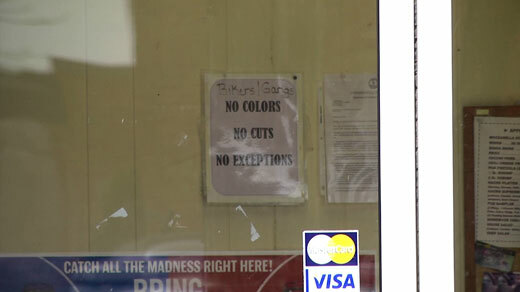 A pub in Louisa posted the letter and a sign warning bikers not to wear their colors or cuts. “What we've done is try to make sure everybody is on the same page and not leaving anyone out, so everyone knows what the regulatory issues are,” said Roberts. Nagro says he's losing business in this battle over rights. “If the ABC wants to take my license, I guess they can take my license. There's nothing I can do about it, but I do believe that Constitutional rights are being violated here every day,” Nagro said. 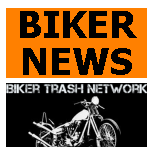 Members of motorcycle clubs and their supporters are sending letters (LINK) to the governor and members of the General Assembly about this issue with the ABC. The letter calls the department's actions "intimidation" and an "infringement of freedom of speech." Virginia ABC Bureau of Law Enforcement Region 9 distributed a letter addressed to Region 9 on premise licensees advising them of an increase in outlaw motorcycle gang activity in on premise ABC licensed establishments. This letter was created in response to information received from four local law enforcement agencies within the Charlottesville region. The letter was provided as an educational resource for licensees and was hand-delivered to approximately 30 licensees in the region during inspections and day to day interactions. Special agents are continuing to distribute the letters. The letter includes applicable sections of Virginia Code and states that all Virginia ABC licensees should take reasonable measures to prevent their establishments from becoming a meeting place or rendezvous for members of a criminal street gang or from becoming a place where patrons of the establishment commit criminal violations. The letter also advises licensees of potential penalties that could be incurred in the event of a violation. It does not state that licensees should decline service to certain individuals and does not require any specific actions on the part of the licensee. At their request, Virginia ABC is working with the following local law enforcement agencies on this effort: Town of Orange Police Department; Town of Louisa Police Department; Louisa County Sheriff’s Office; and the Greene County Sheriff’s Office. NEW YORK, NY ( March 16, 2017) – Six members and associates of the Hells Angels operating in Westchester, Putnam and Dutchess counties are facing several federal drug and racketeering charges. Joon Kim, acting U.S. attorney for the Southern District of New York, said on Thursday that six members of the New Roc Hells Angels, which operated primarily in and around Westchester, Putnam and Dutchess counties from at least 2008 to August 2014, had been arrested. Kim said most of their activities included narcotics trafficking, extortion, money laundering, contraband cigarettes, and prostitution and altered motor vehicle parts. Thomas Schmidt, Joseph Kaplan, John Calvacchio, Jeff Amato and Gary Paganelli were arrested in New York Thursday morning, Kim said, and Michael Picchone was arrested near Los Angeles. The case has been assigned to U.S. District Judge Cathy Seibel in White Plains federal court. 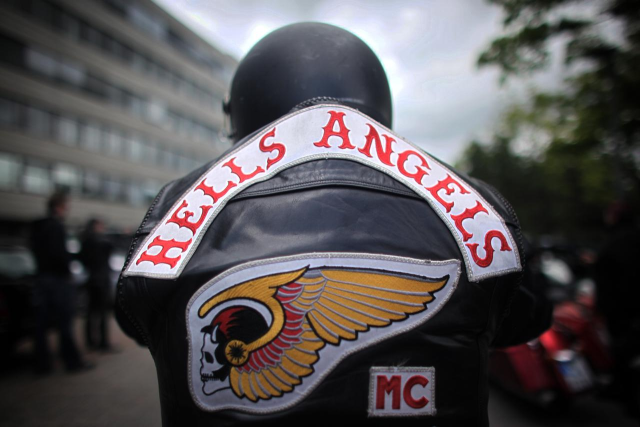 The six members of the New Roc Hells Angels were charged with various racketeering, narcotics and money laundering offenses, including assault of a rival club member with a hammer, Kim said. The assault happened in December 2012, Kim said, when members of the New Roc Hells Angels beat a rival motorcycle club member over the head with a hammer in a crowded restaurant in Poughkeepsie in retaliation for encroaching "on their territory." 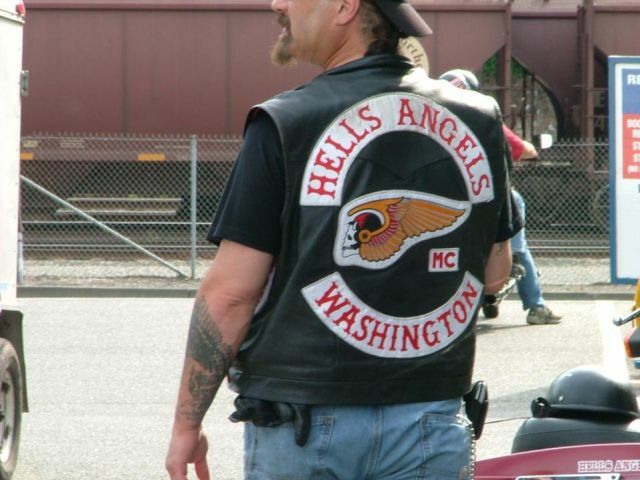 FBI Assistant Director William Sweeney said clubs like the Hells Angels often use violence and intimidation to protect their turf and "establish themselves." "In this case, they allegedly used those tactics by attacking a rival club member with a hammer in the middle of a restaurant and placing innocent people in danger," Sweeney said in a statement. "Regardless of the name these men operate under, the FBI Westchester Safe Streets Gang Task Force works daily to remove these alleged violent members of our society and to create a safer community for everyone." Domains, Trademarks, Subscription Files, Facebook Page is listed. Agoura Hills, CA (March 9, 2017) – Paisano Publications owner and publisher Joe Teresi, 76, announced last week that he’s retiring after 46 years at the helm of the company that was founded in 1971. 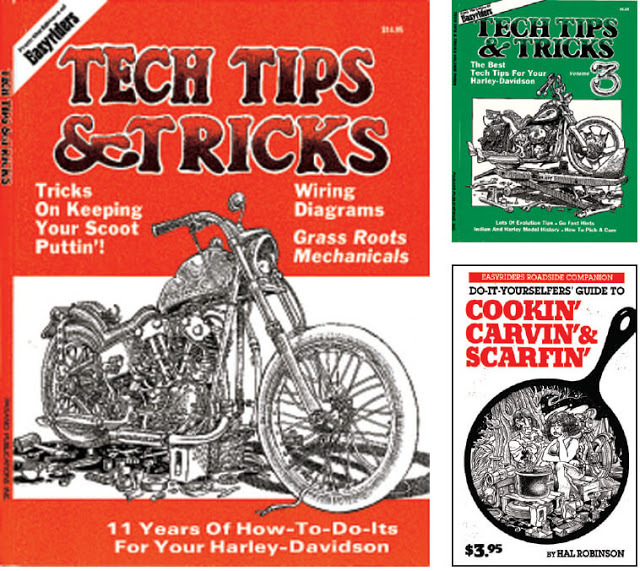 All assets of the company including 'In The Wind Magazine', V-Twin Magazine' Tattoo Magazine and the iconic 'Easyrider Magazine' are up for auction. The auction package also includes: V-Twin Expo, Easyriders Events and 46 years of compiled and copyrighted photos, art, fiction and editorial articles. Over the years, Paisano has published a variety of books sold on the newsstand and through retail channels. All of these are available to be reprinted. 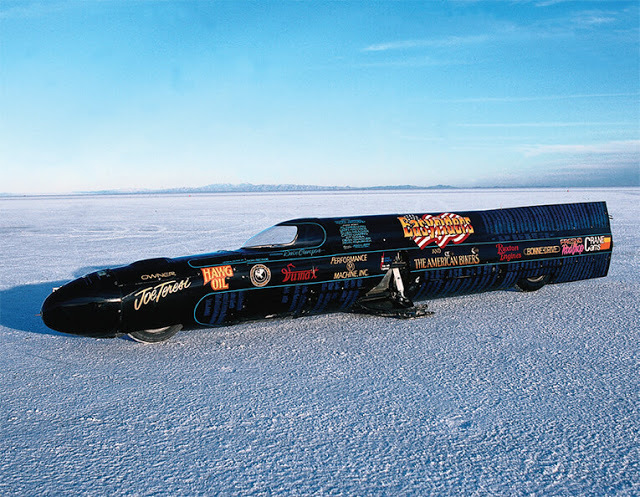 Other assists not included in the auction package but available for sale include the Easyriders Streamliner, over 400 pieces of original artwork by the legendary Biker Artist David Mann. 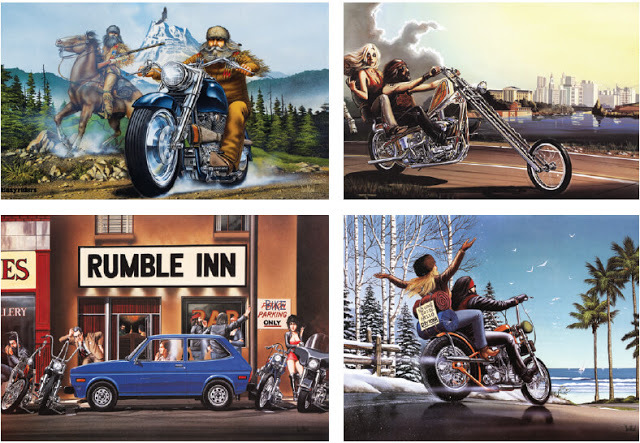 David Mann was the Norman Rockwell of the biker world. His lifestyle paintings graced the pages of Easyriders and other Paisano titles as centerfolds, advertisements and accompaniment to fiction pieces. Paisano owns a collection of approximately 400 pieces of this original artwork. SPOKANE, WA ( March 3, 2017) – Video surveillance from multiple businesses along the Sprague corridor helped detectives find the man accused of shooting a man in the back of the head near the Bel Air Motel on January 9. 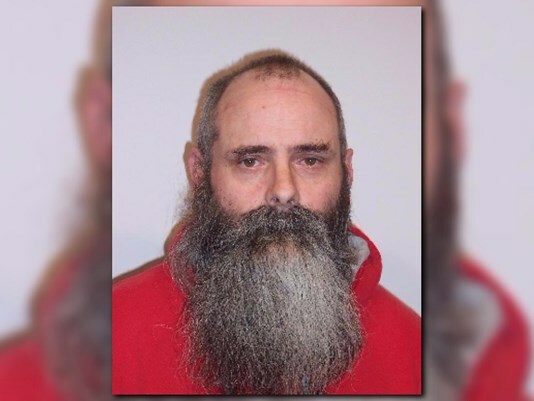 According to court documents, suspect Brice Bailey, 43, was driving erratically on Sprague Avenue just before midnight on Jan. 8. A witness told police Bailey had pulled up alongside his car, with his windows rolled down and proceeded to cut him off. The witness said the man, who he did not know, continued to drive strangely in front of him. He said Bailey turned his turn signal off and on, or merged in the wrong direction repeatedly. The witness said eventually he turned off Sprague and headed home to his house near 7th and Thierman. When he got out, the suspect was sitting in his car and fired in his direction, the witness said. Another witness said he was awoken by loud music coming from the suspect’s car and watched an arm exit the front passenger window of the car and fire at the first witness. Later that night, just after midnight, Spokane Police officers responded to a call of a man being shot in the head in the area of East Sprague Avenue. A man staying at the Bel Air Motel called 911 after hearing gunshots and seeing a person lying in the middle of the motel parking lot. That witness described the same car as the witnesses in the previous shooting. The motel guest went outside to the victim after calling 911 and saw that he had been shot in the back of the head. SPD identified the shooting victim as Dakota Runge, 17. 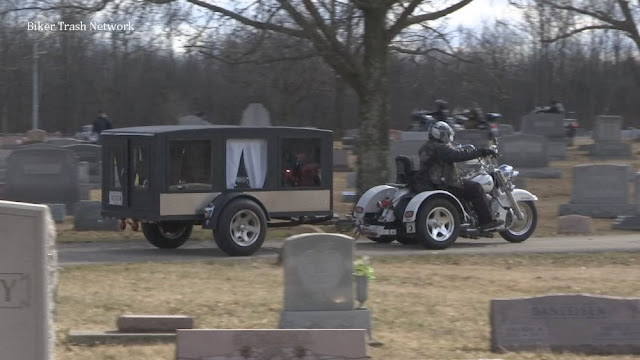 Runge was taken to Sacred Heart and initially listed in critical condition. As of Thursday afternoon, Runge was not listed as a patient. Police got video from the Hells Angels Club House across the street – along with other businesses in the area – and were able to track the involved car to Brice Bailey, according to court documents. Bailey has a criminal history for theft and controlled substances, according to court documents. He was on supervision with the Washington State Department of Corrections and had recently refused to attend a mental health assessment. “During a routine DOC visit, Bailey was slightly agitated and disturbed, and his mental health stability was a concern,” reported an officer in court documents. Officials believe Bailey’s actions were random acts of violence. He is being held in Spokane County Jail on charges of first degree attempted murder, as well as a theft charge. 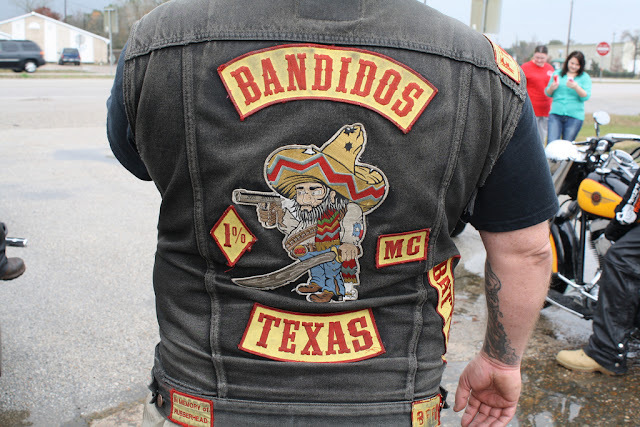 WACO, TX (March 2, 2017) – Authorities arrested four top officials of the Bandidos motorcycle club Thursday, one of them in Central Texas, after a federal jury in San Antonio returned a second superseding indictment against the highest-ranking leaders of the club, adding four new defendants and additional murder-related charges, federal prosecutors said. and Bandidos San Antonio Centro Chapter member Norberto Serna, Jr., 35, of San Antonio for their roles in the 2006 murder of Anthony Benesh. Johnny Romo was arrested in Waco and the other three were arrested in San Antonio. They remained in custody Thursday night pending detention hearings next week before United States Magistrate Judge John Primomo in San Antonio. The 12-count indictment, unsealed late Thursday afternoon in San Antonio, charges all four with one count of discharging a firearm during a murder in aid of racketeering. Johnny Romo and Robert Romo are also charged with murder in aid of racketeering, prosecutors said. Benesh was attempting to start a Texas Chapter of the Hell’s Angels in 2006 in Austin, but was warned by members of the Bandidos to abandon the effort, the indictment says. The new indictment includes previous federal charges filed against Bandidos National President Jeffrey Fay Pike, 61, of Conroe, and National Vice President John Xavier Portillo, 57, of San Antonio. Portillo also faces a new charge of discharging a firearm during a murder in aid of racketeering for his role in the retaliation murder of Robert Lara in January 2002 in Atascosa County for killing one of their own, prosecutors said. Javier Negrete, a member of the same Bandidos chapter as Portillo, was killed in October 2001 outside a San Antonio bar. Pike and Portillo are charged with one count of conspiracy to violate the Racketeering Influenced Corrupt or RICO) statute; one count of conspiracy to commit violent crimes in aid of racketeering or VICAR, and one count of conspiracy to interfere with commerce by extortion. Portillo is also charged with: one count of VICAR (murder); two counts of aiding and abetting VICAR (assault with a deadly weapon); one count of conspiracy to possess with intent to distribute methamphetamine and cocaine; one count of possession with intent to distribute cocaine; and, one count of felon in possession of a firearm. The two are accused of sanctioning and directing members of the Bandidos to carry out such acts as murder, attempted murder, robbery, assault, intimidation, extortion and drug trafficking, prosecutors said. Jury selection is currently scheduled for August 7, 2017.